Save on your next flight from CID to MQF when you book through Travelocity. Need a last-minute flight to Magnitogorsk? Travelocity offers discount airfare no matter when you book, even on popular routes such as Eastern Iowa Airport to Magnitogorsk Intl. Airport. Whether you need a direct or indirect flight, you can trust Travelocity to provide you with the best prices for CID to MQF flights. Explore Magnitogorsk with Travelocity's Travel Guides to find the best flights, cars, vacation packages and more! 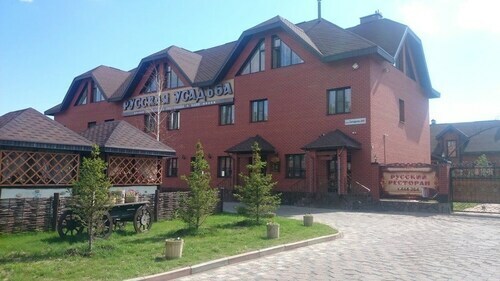 Situated in Magnitogorsk, this inn is 3.4 mi (5.4 km) from Magnitogorsk Ecological Park and 3.4 mi (5.5 km) from TRC Gostiny Dvor. Abzelilovsky Historical Museum is 23.6 mi (38 km) away. Situated in Magnitogorsk, this property is 2.6 mi (4.1 km) from Magnitogorsk Ecological Park and 4.2 mi (6.8 km) from TRC Gostiny Dvor. Abzelilovsky Historical Museum and Ozero Bannoye are also within 32 mi (52 km). Magnitogorsk Station is 18 minutes by foot. Situated in Magnitogorsk, this hotel is 1 mi (1.6 km) from TRC Gostiny Dvor and 2.9 mi (4.7 km) from Magnitogorsk Ecological Park. Abzelilovsky Historical Museum is 25.2 mi (40.5 km) away. Situated in Magnitogorsk, this hotel is 2.2 mi (3.5 km) from Magnitogorsk Ecological Park and 3 mi (4.8 km) from TRC Gostiny Dvor. Abzelilovsky Historical Museum and Ozero Bannoye are also within 32 mi (52 km). 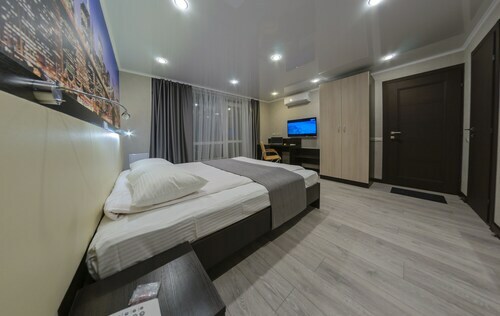 See all 8 Properties in Magnitogorsk Intl.